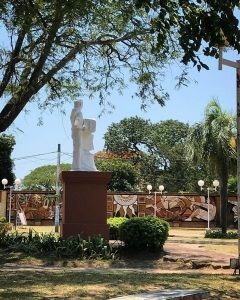 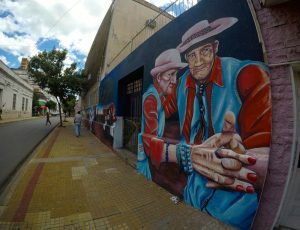 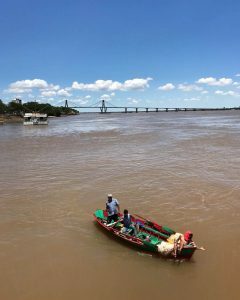 Corrientes Capital is a fascinating mixture of flavors, aromas, fragrances of traditions and culture that are breathed all over the streets. 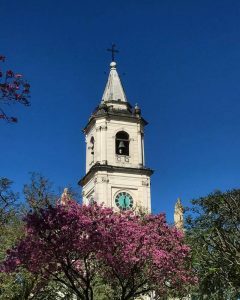 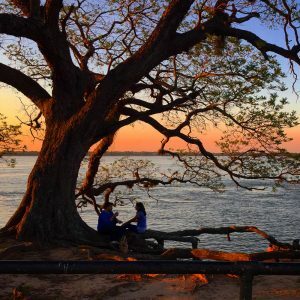 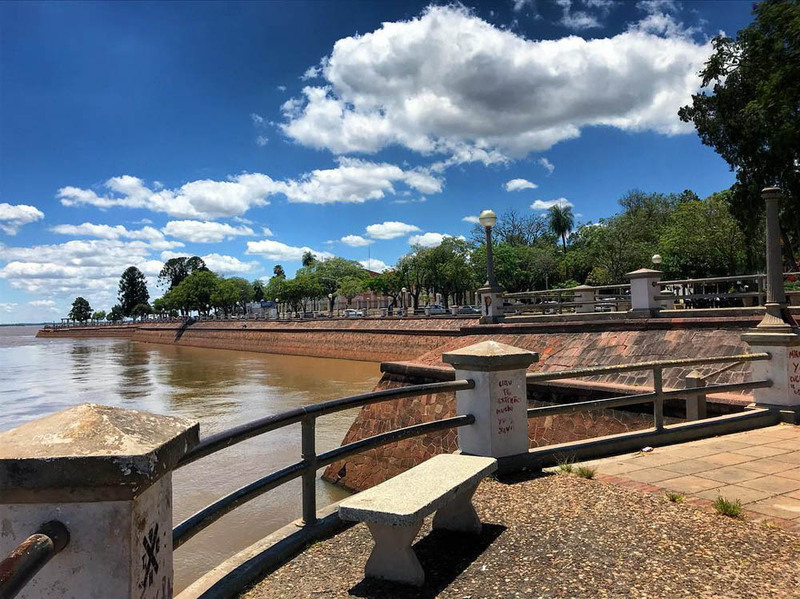 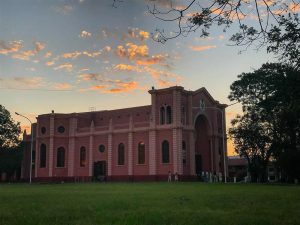 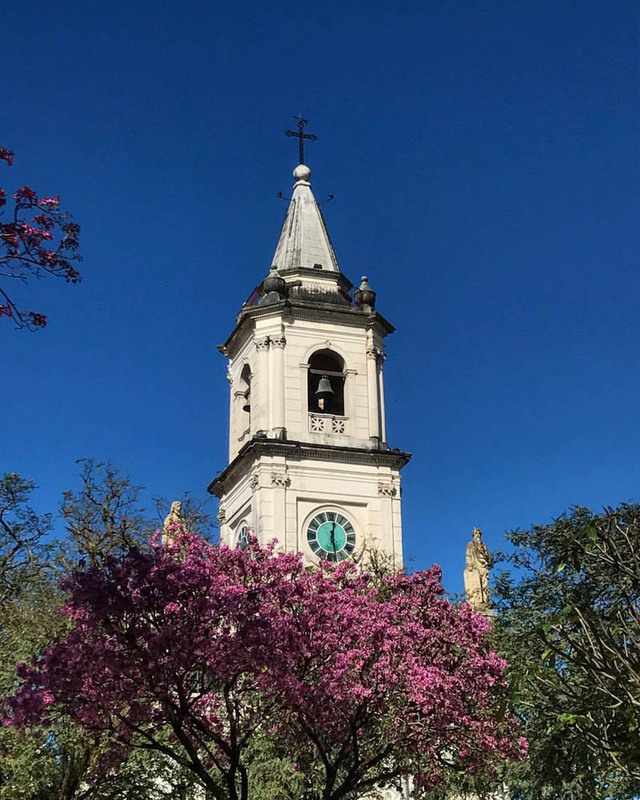 Strolling along the riverside avenue with plenty of colorful trees and bordered by the Paraná River, is a different way of appreciating the beauties of a city like no other. 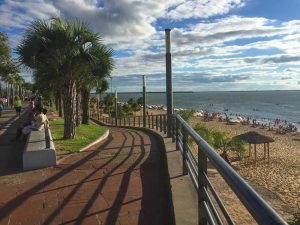 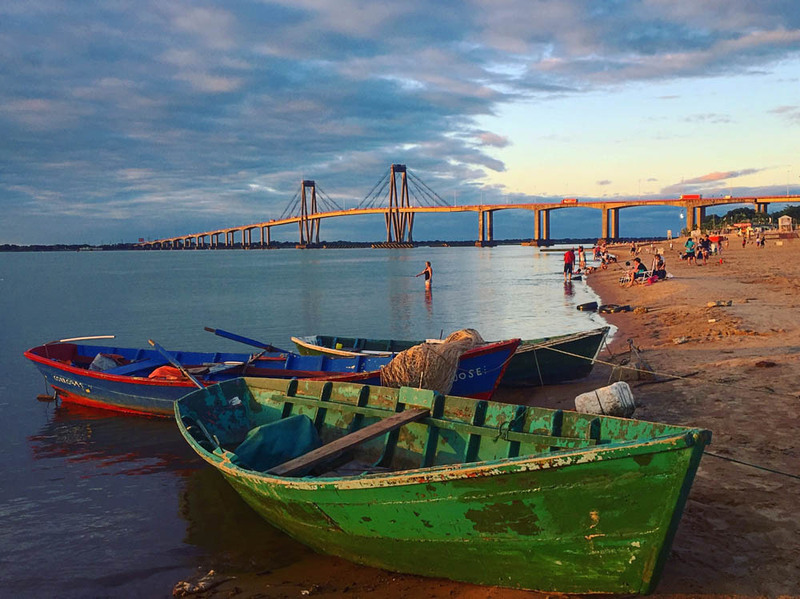 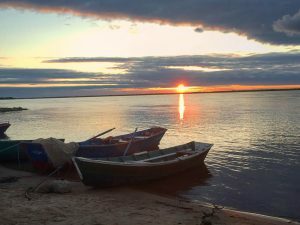 In Corrientes Capital, the warming sun invites to visit the beaches and cool down in the water during summer days. 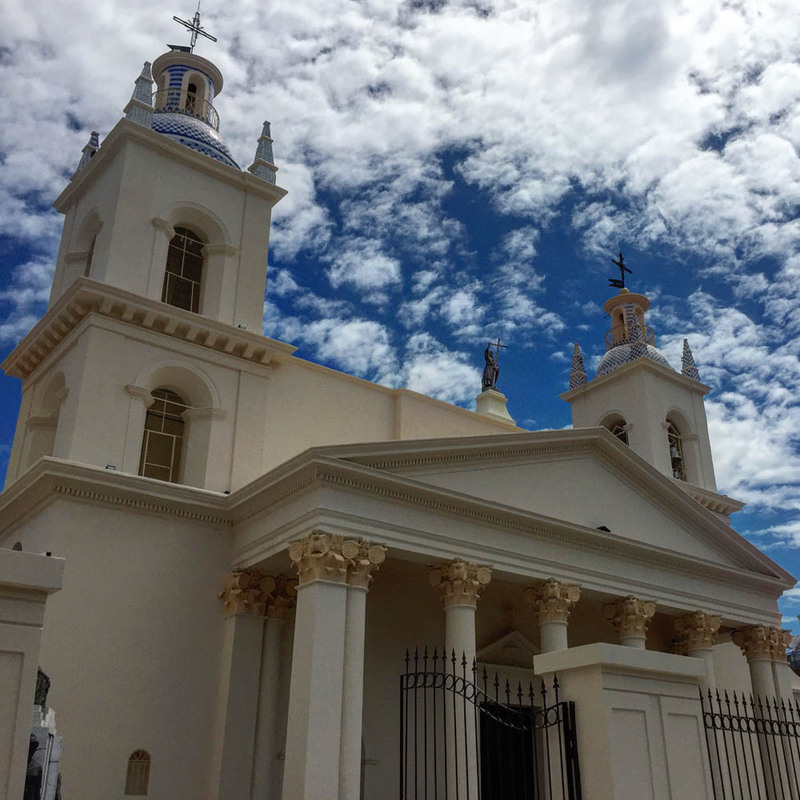 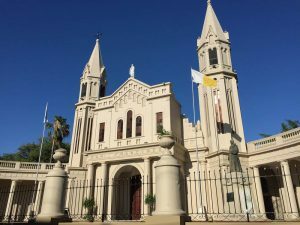 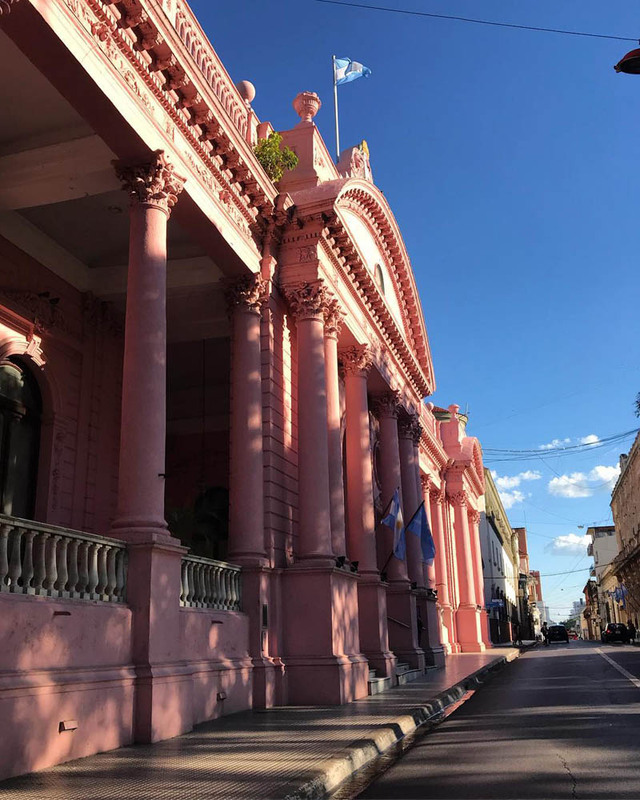 Rich in architecture of different styles, Corrientes shows buildings that combine soft shapes of colonial baroque with the European one. 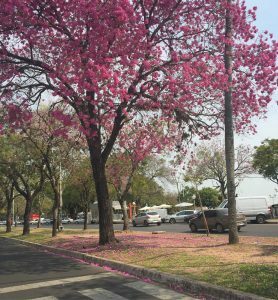 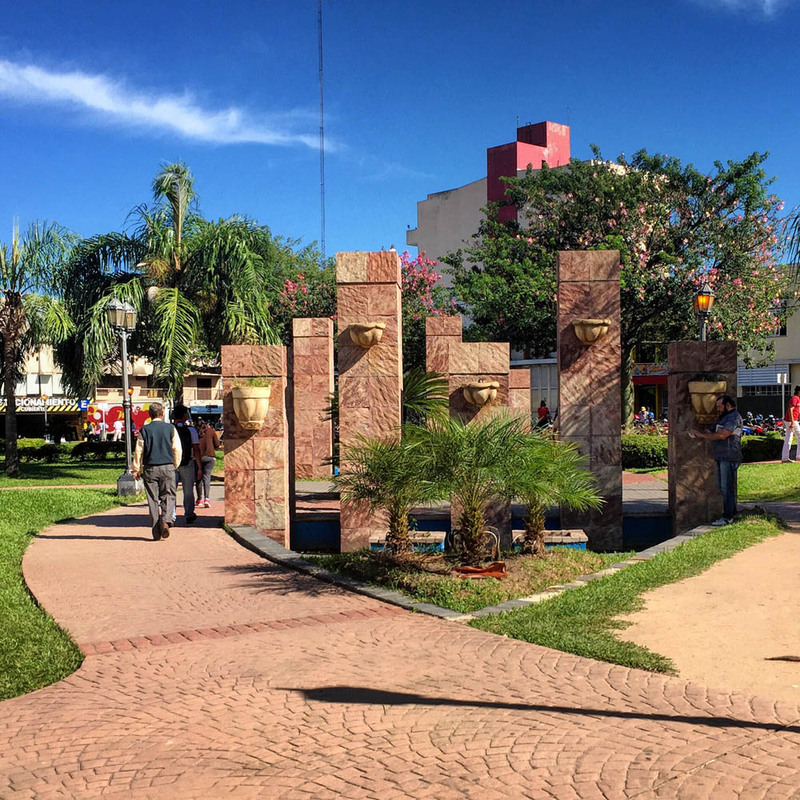 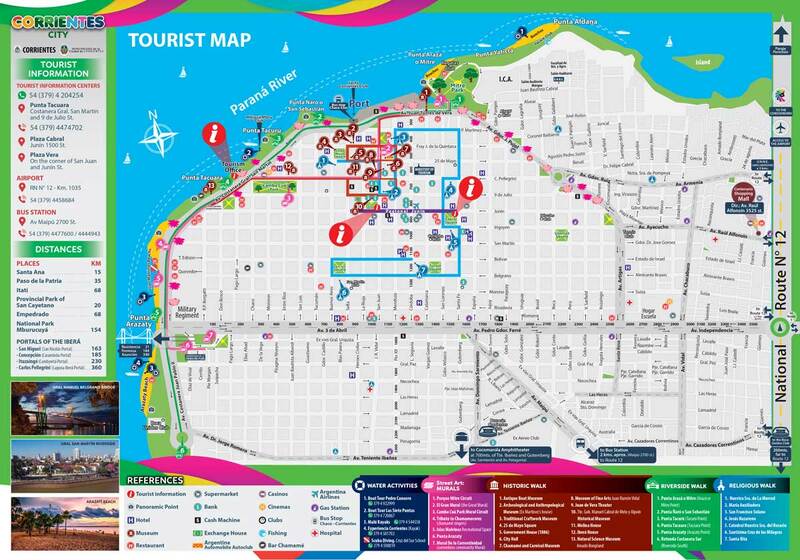 All this scenario is harmonically completed with its characteristic regional vegetation such as trees of chivato, ceibo, orange and jacarandá to name but a few, that adorn every street and park. 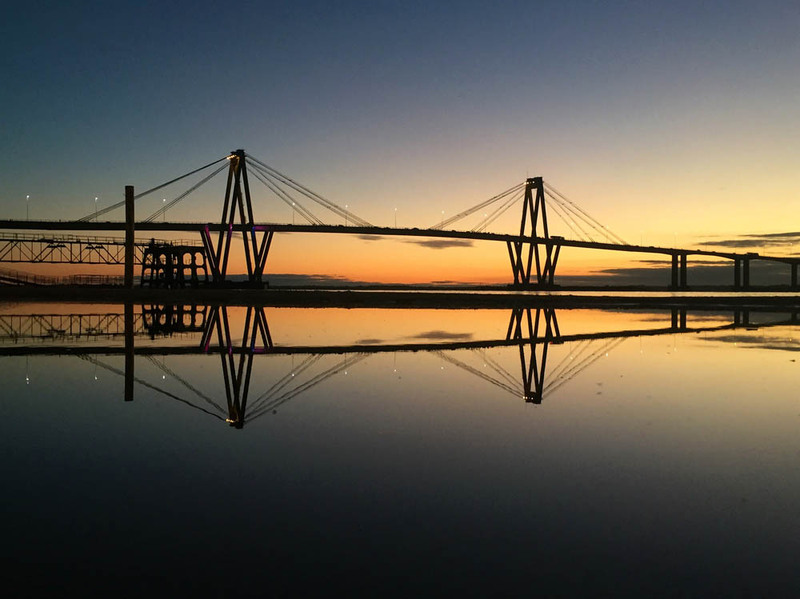 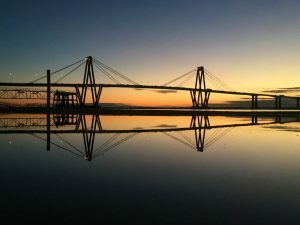 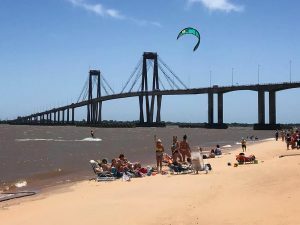 At the “Costanera Sur” which starts just where the “General Belgrano” bridge crosses above the well Known “Costanera” avenue, there are two beautiful beaches, Arazaty I and II. 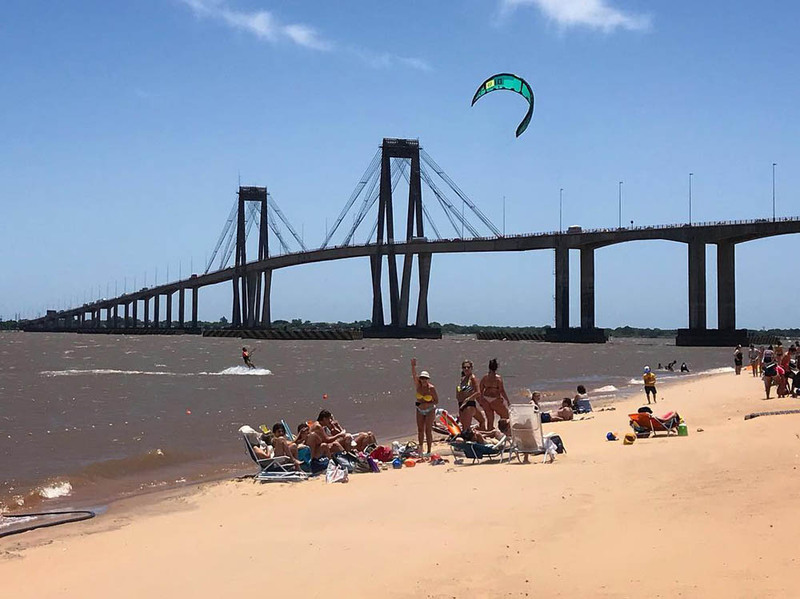 Large sunbathing shores by the riverside of Paraná which received hundred of thousands of tourists last summer season. 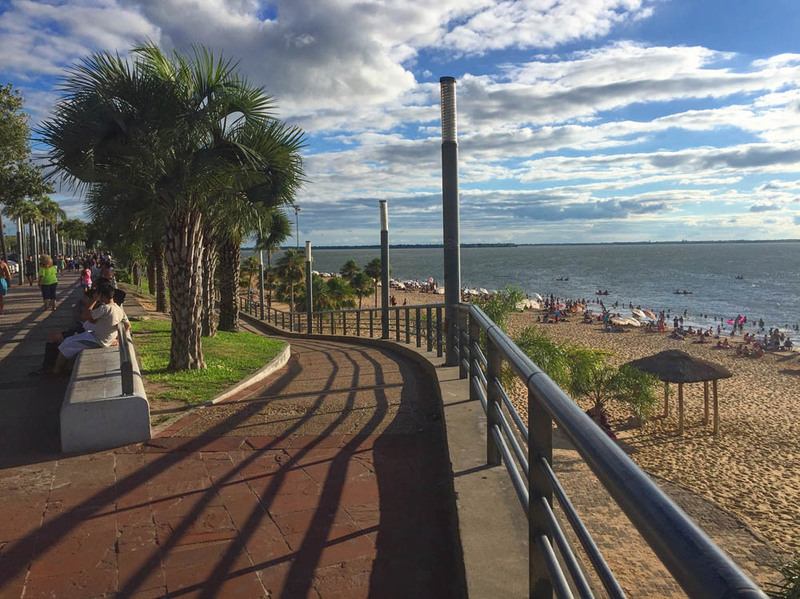 Corrientes is the capital of the Argentine carnival. 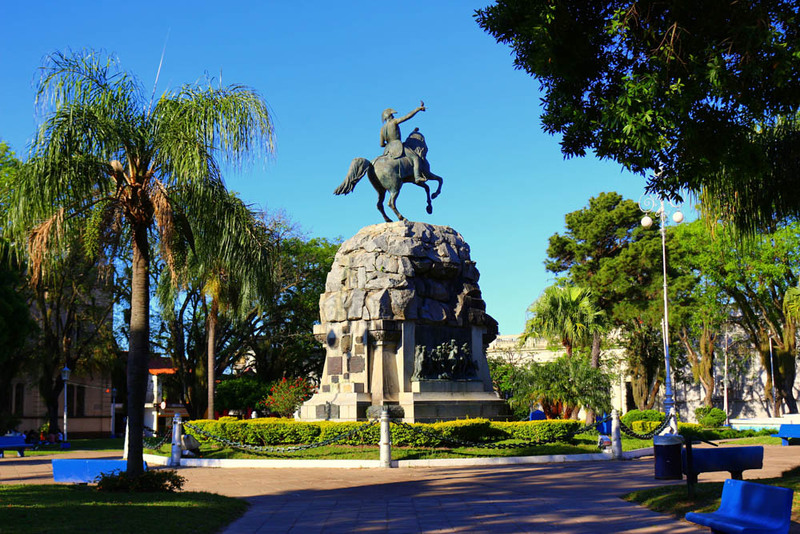 This traditional celebration offers the dazzling spectacle of the bustling group of dancing parades and musicians, “Comparsas”, whose fame transcends the limits of the province. 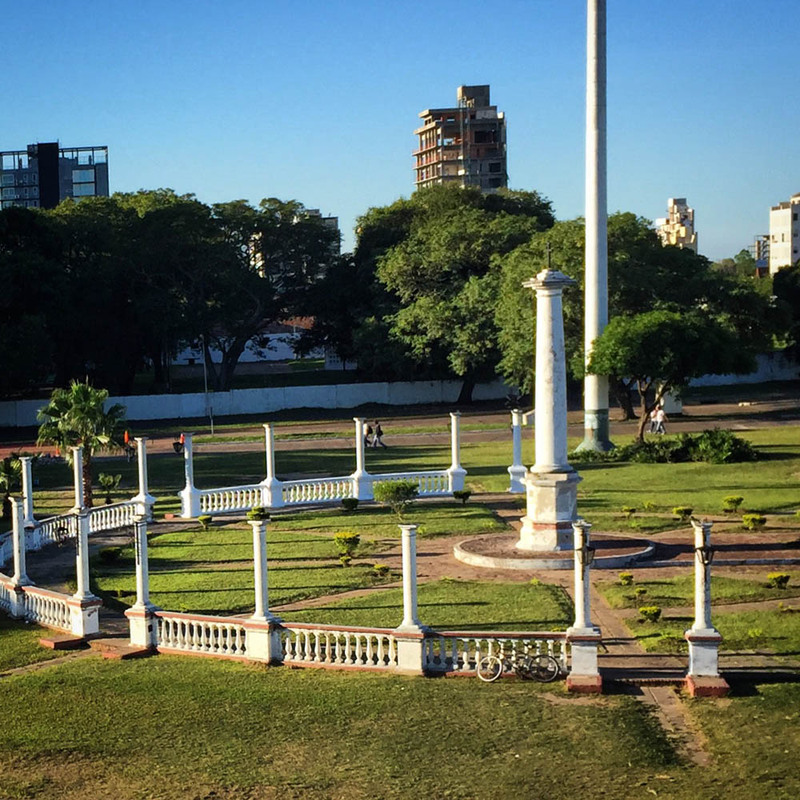 It is also the national capital of Chamamé. The most popular and representative dance and music of Corrientes, essential in every festival or celebration either official, regional or for the family.